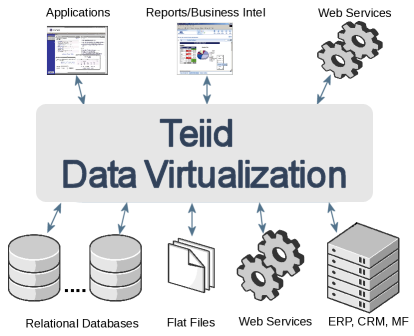 Teiid is a data integration and virtualization engine. Teiid provides seamless integrations with many different varieties of sources like RDBMS, Flat Files, Web Services, packaged applications etc. Deis is an open source PaaS based on Docker that runs on public cloud, private cloud and bare metal. Salt, a new approach to infrastructure management, is easy enough to get running in minutes, scalable enough to manage tens of thousands of servers, and fast enough to communicate with those servers inseconds. Packer is a tool for creating identical images for multiple platforms from a single source configuration. Packer supports multiple providers including Rackspace, AWS, Digital Ocean, VMWARE, Virtual Box and others. Let’s look at how we can use Packer to make images on Rackspace. Packer uses JSON templates to define an image. Packer takes this JSON and runs the builds defined, producing a machine image. // Function called by first time the DLL is loaded. // Called when front end stopped. CRATE.IO enables developers to quickly set up a distributed database cluster, either on their own hardware or in a public cloud e.g. AWS. One of the key advantages of CRATE.IO is its ability to scale. The guiding principle for CRATE.IO is simplicity. Not only is it easy to set up, but once everything is up and running, developers can use standard SQL queries to work with their data. Interesting Howto at "Using Crate Data with Rails"
You can connect to your twitter account and download tweets from your account and import in to a test table. From here you can select the console from the web interface and run SQL standard queries against that table. Spark offers a suite of hardware and software tools to help you prototype, scale, and manage your Internet of Things products.